Get off the couch this summer! 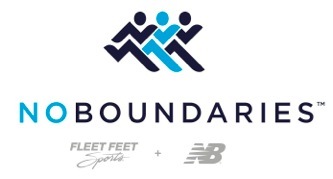 Join Fleet Feet Sports located at 4001 Virginia Beach Blvd, Virginia Beach, VA 23452 for our summer No Boundaries 5K training program. We meet at Fleet Feet Sports for 3 weekly group training runs. Mondays and Wednesdays at 6:00pm and Saturdays at 8:00am. Most runs will start at the store, but we may venture to other locations.